It feels like forever since I’ve last blogged about a bake and Sandy and I apologise for taking so long, we’ve been very busy lately! 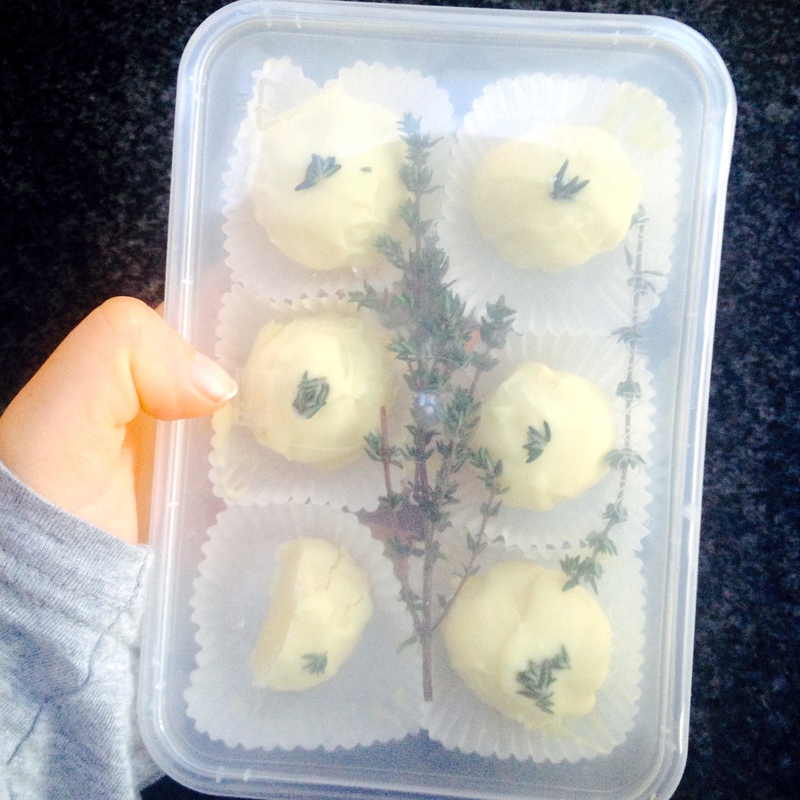 However, if there is one recipe to redeem ourselves I can confidently say this is the one 🙂 These beautiful balls of white chocolate heaven, married together with lemon and thyme, are surely melt in your mouth magical. They are rich, creamy and the perfect little treat to end off a long day. So enjoy the recipe- it’s easier than it seems and there’s absolutely no oven involved. Let’s begin! In a small saucepan heat up the heavy cream, lemon zest and thyme sprigs with a medium flame, until the combination comes to a simmer. Then remove from the heat and place on a lid allowing the mixture to come to room temperature which should take around 20 minutes. 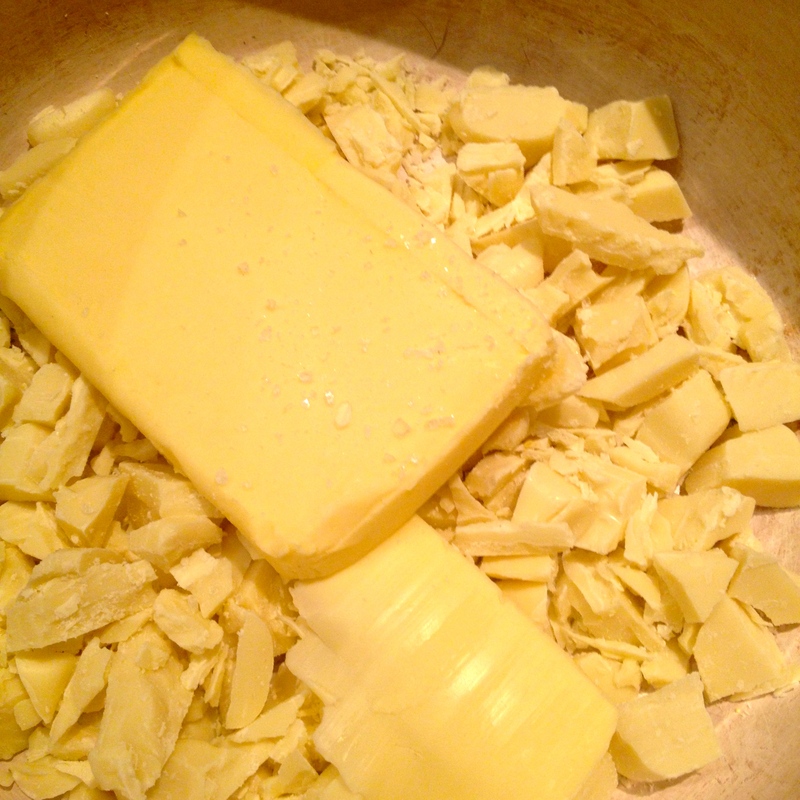 Whilst you wait, you can begin to chop up the white chocolate and combine that with the butter and salt in a medium heatproof bowl. Once the cream has cooled place it back on the stove, on medium heat, until, again, it reaches a simmer. 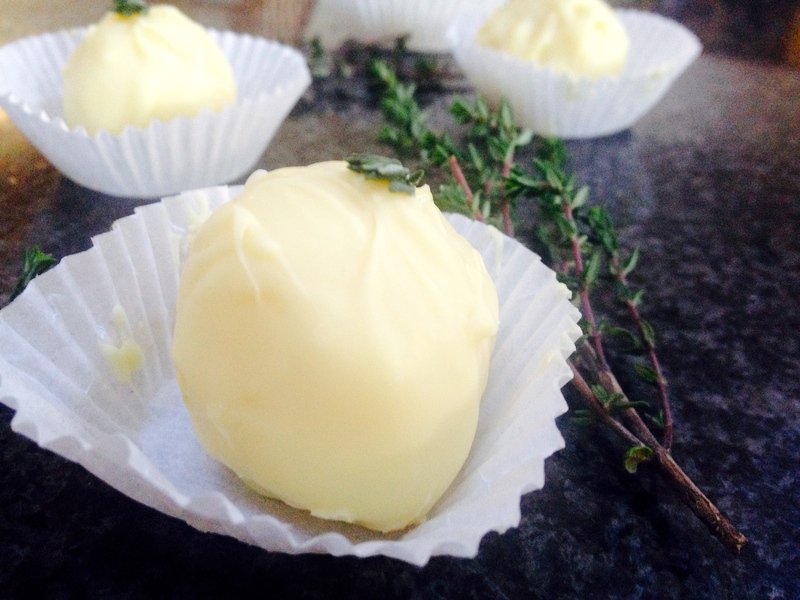 Then remove the mixture and strain the cream, into the white choc, with a fine-meshed strainer, pressing down on the thyme sprigs and lemon zest to extract as much flavour as possible. Now set the chocolate mixture over a pot of almost simmering water and constantly stir until just over half of the chocolate has melted. Then remove from the double boiler and continue stirring until the whole mixture has melted smoothly. Then just stir in the lemon juice until it’s well incorporated. Place the mixture in the fridge for a good 4 hours and then it’s time to wait. 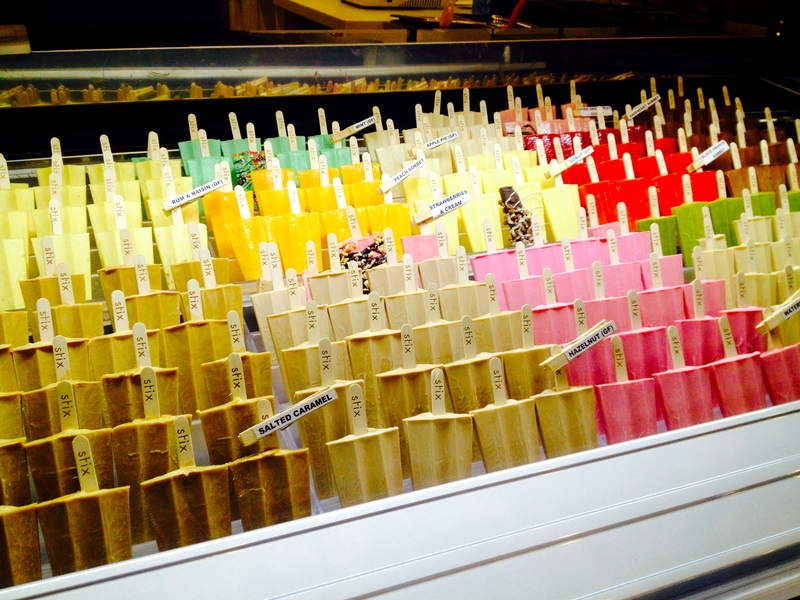 Whilst I was waiting Sandy and one of our friends came over and we walked to a really cool gelato store named Stix. We were quite crazy because it was freezing cold but it didn’t take away from the incredible taste and atmosphere. It was such a cool place, we got to pick a flavour and then decorate our ice-creams with elaborate toppings 🙂 So obviously we went crazy! Then we headed back to mine in time to pull out the truffle mix at the right consistency to start rolling into balls. 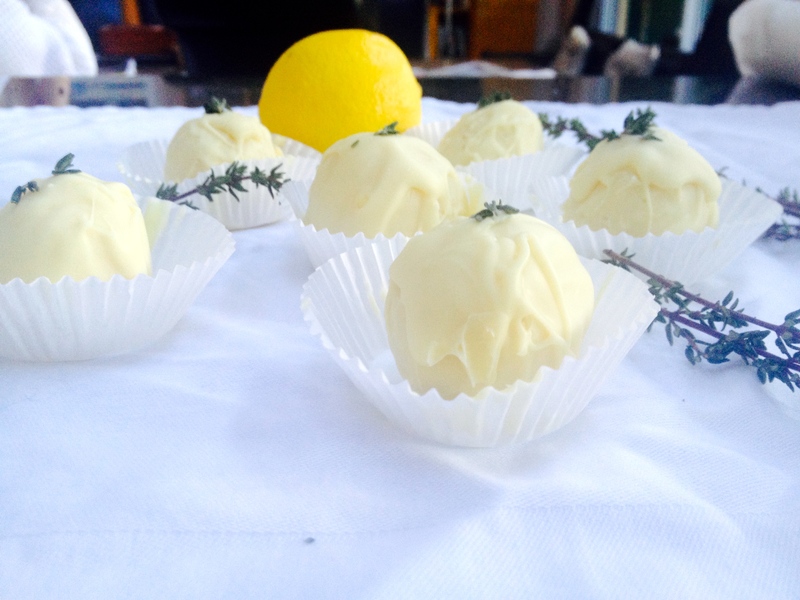 To give the truffles a great finish melt some white chocolate and dip the balls in it. 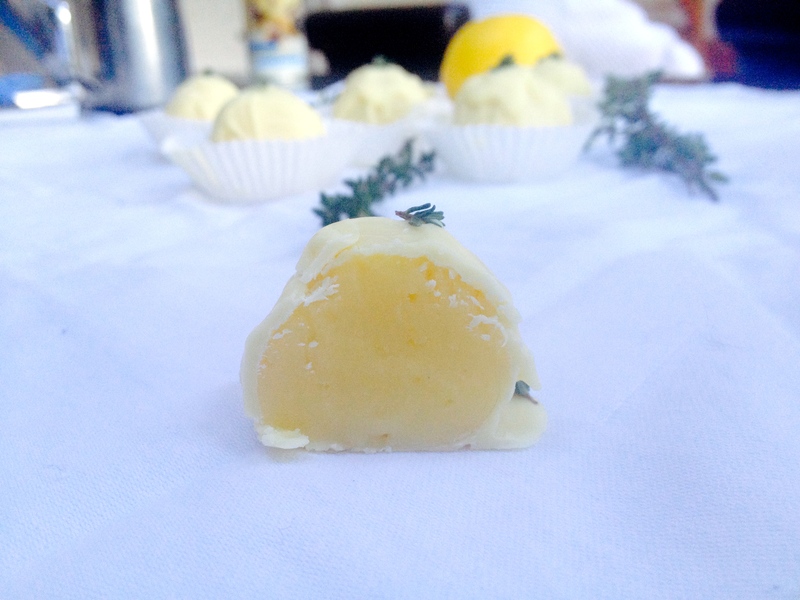 Lastly place a few leaves of the thyme on top of the truffle and there you have it. Perfection in the form of a little white sweet. Zest of 2 large lemons. 2 tbsps of lemon juice. And that’s that. These are amazing treats that you can store in your fridge for up to a week and freeze for months! So I hope you liked todays recipe and please go ahead and give it try- you won’t regret it!